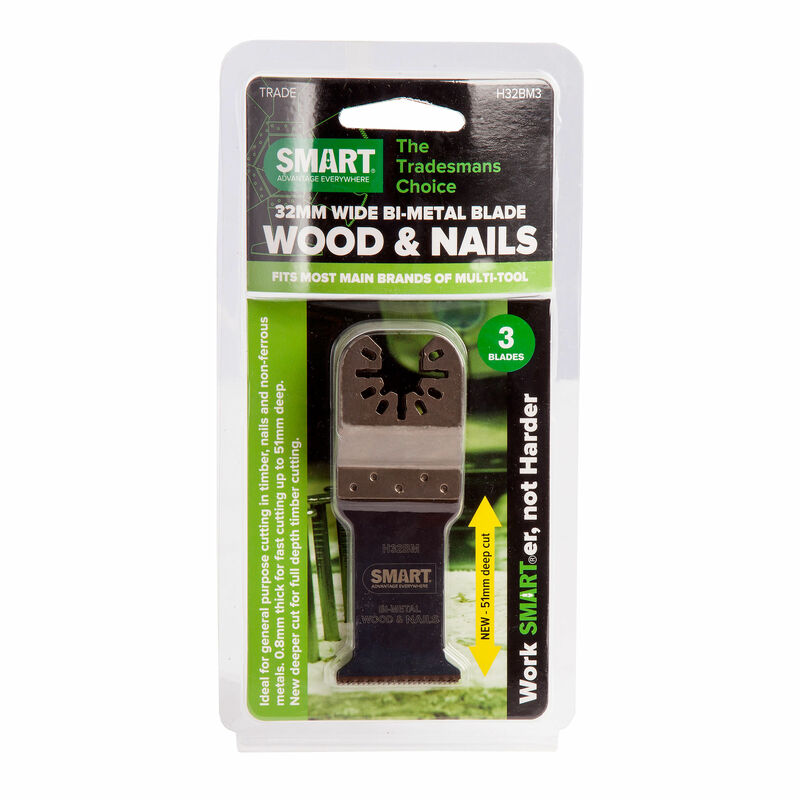 The Smart H32BM3 is a pack of 3 Bi-Metal blade for cutting wood, wood with nails & non ferrous metals. Bi-metal blades are one of the most popular types of SMART blade. 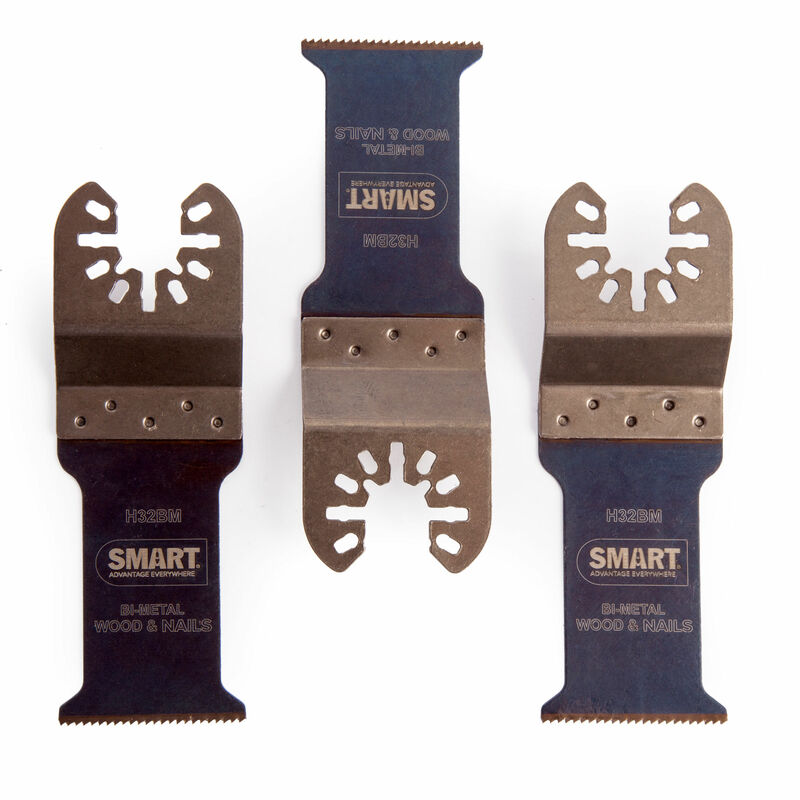 Offering a 'safe' option for cutting through timber with nails that may be hidden.